GL-200MT, STC-Shaped Guitar from LTD in the George Lynch series. ESP’s relationship with George Lynch is represented in this year’s new offerings with the LTD GL-200MT. 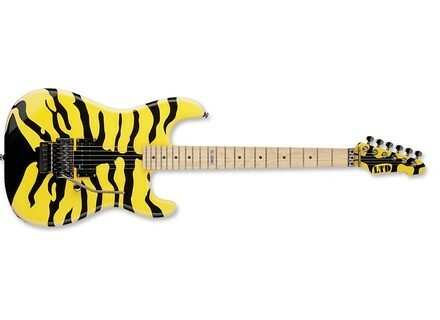 Based on Lynch’s ESP M-1 Tiger, the GL-200MT offers an affordable alternative for players who want to get into one of Lynch’s most iconic guitars. [NAMM] ESP GUS-600 NT & GUS G NT Gus G of Firewind was worked with ESP to offer enhancements to his signature models. [NAMM] Fender FA125S Pack This acoustic guitar pack includes an electronic tuner, gig bag, picks, string winder and instruction booklet. [NAMM] New ESP Hamilton Models Page Hamilton of Helmet celebrates his 20th year as an ESP player with the introduction of the ESP Page Hamilton MG and the LTD PH-600MG.